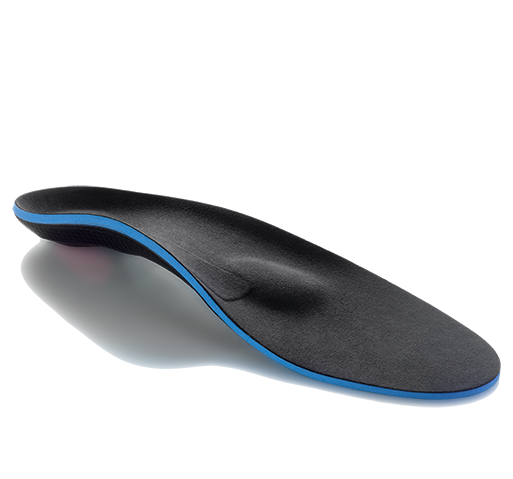 Provides Everyday comfortable support for activities of daily living & non-contact sports. The Donjoy ACL Everyday represents DonJoy's most comfortable, easiest to use, lightest, patient-ready knee brace and is ideally suited for non-contact sports and activities of daily living. It's suited for mild ACL/MCL/LCL instabilities, such as with a partial ACL tear, and is designed to provide comfortable support for patients who are non-surgical candidates needing additional support to prevent buckling of their knee with everyday activities. The ACL Everyday is extremely lightweight at only 15 oz and features a low profile 13" brace length to accommodate shorter people. This model is constructed out of aircraft-grade aluminum for a lightweight yet strong design. The Donjoy ACL Everyday different size legs easily with its ergonomic, swooping thigh design, and moldable calf cuffs . Contoured, flexible cuff shells conform to any size patient thigh, and hypoallergenic Sili-Grip strap pads are included to enhance proper brace suspension. 10 degree soft stops are built into the hinges themselves to reduce impact noise when the knee is quickly extended fully. The ACL Everyday also features the patented Four Points of Leverage design for providing the highest degree of ACL and hyperextension knee protection. 4 Points of Leverage system pioneered by Donjoy provides ACL/PCL protection. Lightweight (15 oz.) for all day comfort. Sleek, low profile (.080 inch thick), aesthetically pleasing, aircraft grade aluminum frame. Ergonomic, swooping thigh and calf cuffs provide clearance for the opposite leg. Contoured, flexible cuff shells conform to your body shape. Hypoallergenic Sili-Grip strap pads enhance brace suspension and reduce slippage. 10 degree soft stops reduce impact noise during knee extension. 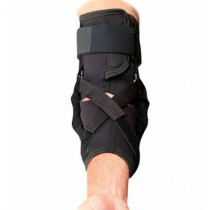 Short brace length (13 inches) accommodates short inseams. What Is The Donjoy Four Points of Leverage Design? The ACL Everyday is designed provide patients with ACL protection during all of the most commonly encountered movements that can lead to an ACL injury - ie cutting/pivoting, and hyperextension of the knee. The Four Points of Leverage combine to successfully apply a net differential posterior force, or constant force to the tibia, which reduces the instability in the ACL. This Four Points of Leverage design is used on all Donjoy high-end ACL braces including the Donjoy ACL Everyday. Pros: Lightweight, fits decently. Cons: Definitely not a premium brace, Bulky. 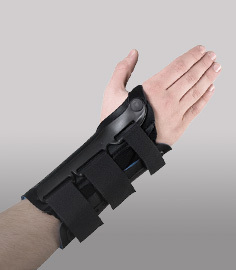 For the money, the cost of the brace does not live up to its hype. I tried it and then sent it back and exchanged it for a Amour knee brace instead. That was a better brace and now I can use it for Everyday stuff AND some recreational sports as well. Thanks to the customer team that that helped steer me into a better brace choice after my first purchase. The brace was comfortable in the beginning but the pads wore out after about 5 months. I called and spoke to your customer service people and you got the pads all replaced for me free of charge. Thank you for the exceptional customer service.